Home, car, contents and commercial insurance premium hikes are on the horizon. Suncorp New Zealand, in its annual results, says it will keep increasing premiums due to the cost of the Kaikoura earthquake, as well as higher building and car repair costs. “GWP [gross written premium] growth across the portfolio will be supported by Suncorp’s pricing response to claims cost trends and the reinsurance impacts of recent natural hazard events,” it says, commenting on its outlook. Suncorp New Zealand’s general insurance business reported a NZ$47 million profit after tax in the year to June 30 - a NZ$100 million drop from last year. Suncorp sells its general insurance products in New Zealand through the brand Vero. It also has a stake in AA Insurance. The Group’s net profit after tax disappointed the market by increasing 3.6% to A$1.08 billion. The Kaikoura earthquake has been blamed for the drag; Deutsche Bank analysts pointing out the claims and reinsurance costs related to the November disaster left the company NZ$36 million out of pocket. While the Group’s main catastrophe program, and internal reinsurance between Australia and New Zealand was used to pay for the quake, Suncorp also bought “additional backup reinsurance”. 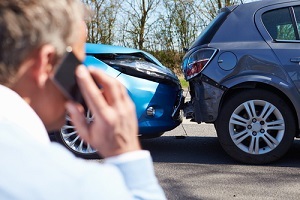 “Motor claims costs have increased due to strong unit growth and average claim cost inflation. Claims frequency shows a small upward trend, attributable to a higher number of cars on the road. While Suncorp New Zealand has flagged premium increases for the future, prices have already been on the move. In the past year it achieved GWP growth of 7.3% in its motor business, thanks to both premium increases and it getting more customers by increasing its market share and as well as there being more cars on the roads. More customers and higher premiums also saw the GWP in its home business increase by 10.8%. “Product pricing changes have been implemented in response to an increase in claim and reinsurance costs,” it says. As for Suncorp New Zealand’s commercial business, this experienced GWP growth of 4.4%. On the upside, Suncorp says the frequency and cost of meth contamination claims have “reduced significantly in the second half year following producing and pricing remediation”. It says the launch of two new SMART panel beating centres have also helped reduce car repair costs. The above increases plus the increased govts fees for fire service and the EQC increase on 1 Nov. It all adds up to......ummmm what insurances can I do without? Had insurance for 20 years left the kitchen tape on on day flooded kitchen .Went to make claim got treated like i was tring to commit fraud and they were total assholes I was then very rude and told them where to stick it. I now have fire extinqueers in every room taught family basic precaution and preventions ,Never leave any devises on when house is empty and stepped up home security and only drive cheap cars ,and use small claims court if someone damages my stuff .I do have earthquake insurance thoughYou cant get arround that. ........but if the ratio of new accident numbers to increased numbers of cars on the road and the ratio of costs to values is still the same then that on its own might not cause premium increases? ?